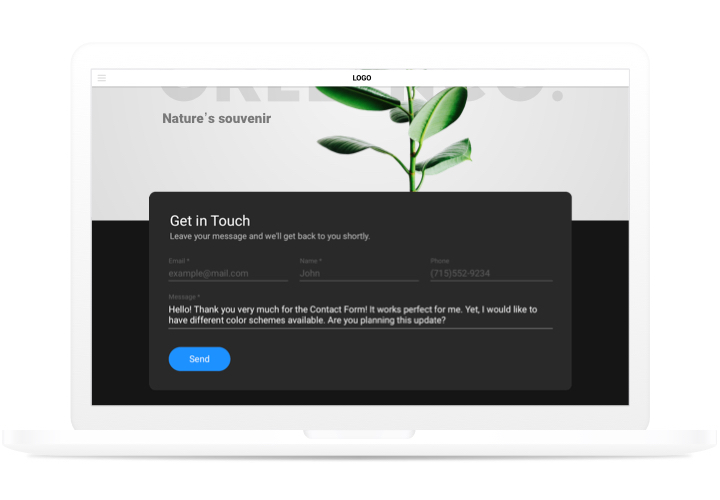 Our Webflow contact us form widget – helps with all possible current requirements in getting feedback and enquiries from clients of your site. Display additional fields for filling, choose the required template and adjust the look, to inspire your clients even more to make orders for in your business.Collect reviews, get requests and send answers to questions of the website visitors! Increase the number of new shoppers. 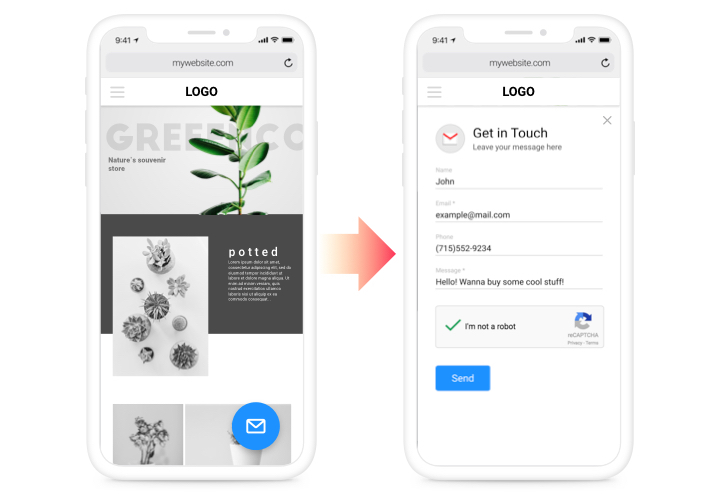 Stay in regular interaction with probable customers 24/7 with the help of an effective form on your website, and increase the number of users who are intended to pay. Collect more reactions and impressions about your goods or services. Feedback of your customers is critically valuable if you want to extend your business. Thanks to our easy contact-form, you will start to collect more feedback from your site! Protect mailbox from spam. Don’t allow spam in your mailbox. 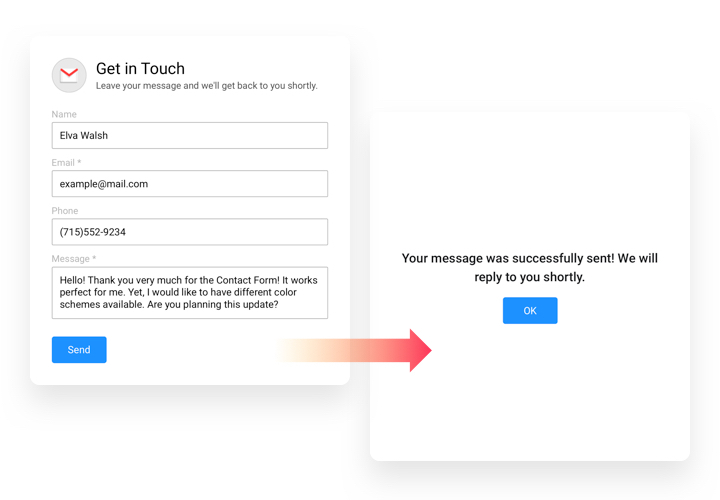 Our form is embedded with Google reCAPTCHA to save your mail from automatic spam and bots. Apply our tutorial, to embed contact widget to your site. It’s unnecessary to have competence in programming and complete embedding time is just 90 seconds. 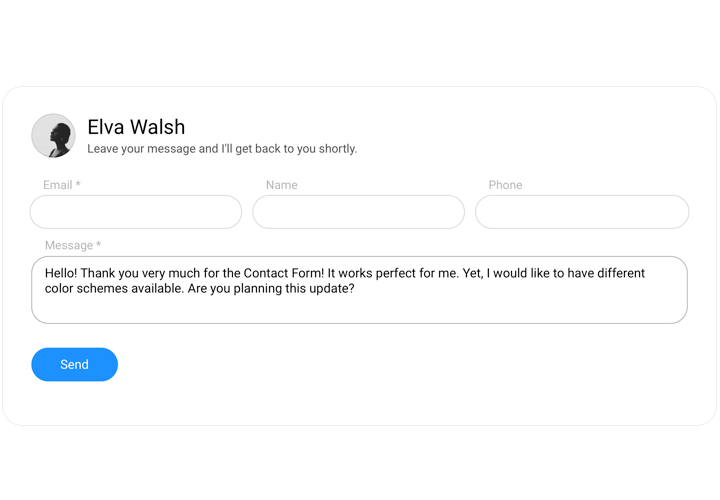 Build your unique Contact Form. With our free editor, create a widget with preferable template and settings. Receive a code for showing the widget. After widget customization, acquire a code for the form widget from the appearing window on Elfsight Apps. Show the widget on Webflow website. Add the widget to the desired place of the page and apply the changes. You successfully performed the installation. Visit your site, to check your widget. Do you experience any issue while applying the guide or generating your form? 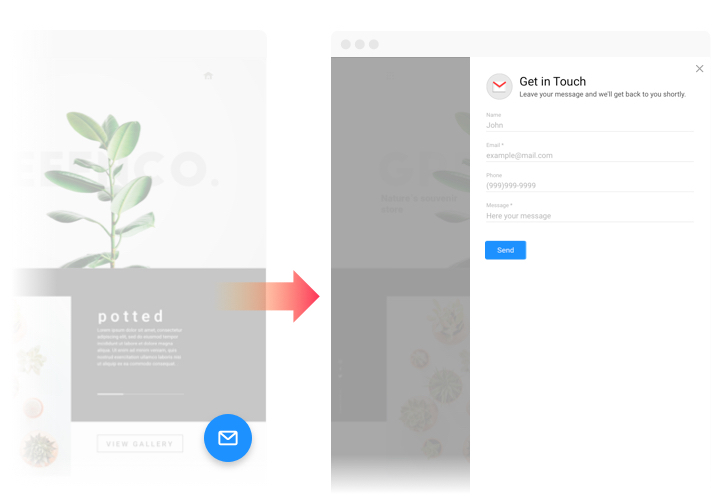 Try reading a full tutorial «How to insert Contact form into a Webflow website» and take a second chance to display it on your own or leave your enquiry to ourhelp center with full explanation of your query, and our team will be glad to solve the issue. 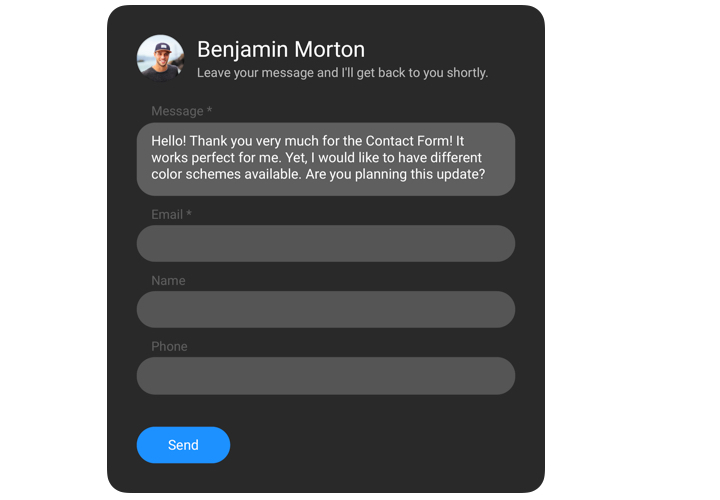 Get your Webflow contact form simply and quickly!